When I became convinced that the universe is natural, that all the ghosts and gods are myths, there entered into my brain, into my soul, into every drop of my blood the sense, the feeling, the joy of freedom. The walls of my prison crumbled and fell. The dungeon was flooded with light and all the bolts and bars and manacles became dust. I was no longer a servant, a serf or a slave. There was for me no master in all the wide world - not even in infinite space. I was free - free to think, to express my thoughts - free to live to my own ideal - free to live for myself and those I loved - free to use all my faculties, all my senses - free to spread imagination's wings - free to investigate, to guess and dream and hope - free to judge and determine for myself - free to reject all ignorant and cruel creeds, all the "inspired" books that savages have produced, and all the barbarous legends of the past - free from popes and priests - free from all the "called" and "set apart" - free from sanctified mistakes and holy lies - free from the fear of eternal pain - free from the winged monsters of the night - free from devils, ghosts and gods. For the first time I was free. There were no prohibited places in all the realms of thought - no air, no space, where fancy could not spread her painted wings - no chains for my limbs - no lashes for my back - no fires for my flesh - no master's frown or threat - no following another's steps - no need to bow, or cringe, or crawl, or utter lying words. I was free. I stood erect and fearlessly, joyously, faced all worlds. Reason, Observation and Experience - the Holy Trinity of Science - have taught us that happiness is the only good; that the time to be happy is now, and the way to be happy is to make others so. This is enough for us. I found that all religions rested on a mistaken conception of nature - that the religion of a people was the science of that people, that is to say, their explanation of the world - of life and death -- of origin and destiny. Liberty cannot be sacrificed for the sake of temperance, for the sake of morality, or for the sake of anything. It is of more value than everything. Yet some people would destroy the sun to prevent the growth of weeds. Liberty sustains the same relation to all the virtues that the sun does to life. Day by day, religious conceptions grow less and less intense. Day by day, the old spirit dies out of book and creed. The Agnostic knows that the testimony of man is not sufficient to establish what is known as the miraculous. We would not believe to-day the testimony of millions to the effect that the dead had been raised. The church itself would be the first to attack such testimony. If we cannot believe those whom we know, why should we believe witnesses who have been dead thousands of years, and about whom we know nothing? All these religions are inconsistent with intellectual liberty. They are the enemies of thought, of investigation, of mental honesty. They destroy the manliness of man. They promise eternal rewards for belief, for credulity, for what they call faith. This is not only absurd, but it is immoral. The present is the necessary product of all the past and the necessary cause of all the future. The king said that mankind must not work for themselves. The priest said that mankind must not think for themselves. One forged chains for the hands, the other for the soul. I am the inferior of any man whose rights I trample under foot. Men are not superior by reason of the accidents of race or color. They are superior who have the best heart, the best brain. Now, understand me! I do not say there is no God. I do not know. As I told you before, I have traveled but very little -- only in this world. I want it understood that I do not pretend to know. I say I think. And in my mind the idea expressed by Judge Wright so eloquently and so beautifully is not exactly true. I cannot conceive of the God he endeavors to describe, because he gives to that God will, purpose, achievement, benevolence, love, and no form — no organization — no wants. There's the trouble. No wants. And let me say why that is a trouble. Man acts only because he wants. You civilize man by increasing his wants, or, as his wants increase he becomes civilized. Whoever has an opinion of his own, and honestly expresses it, will be guilty of heresy. These religions teach the slave virtues. They make inanimate things holy, and falsehoods sacred. They create artificial crimes... These things are the foes of morality. They subvert all natural conceptions of virtue. A man has a right to work with his hands, to plow the earth, to sow the seed, and that man has a right to reap the harvest. For the most part, colleges are places where pebbles are polished and diamonds are dimmed. I do not deny. I do not know - but I do not believe. I believe that the natural is supreme - that from the infinite chain no link can be lost or broken - that there is no supernatural power that can answer prayer - no power that worship can persuade or change - no power that cares for man. The real difference is this: the Christian says that he has knowledge; the Agnostic admits that he has none; and yet the Christian accuses the Agnostic of arrogance, and asks him how he has the impudence to admit the limitations of his mind. To the Agnostic every fact is a torch, and by this light, and this light only, he walks. The most important thing in this world is liberty. More important than food or clothes - more important than gold or houses or lands - more important than art or science - more important than all religions, is the liberty of man. I know that life is good. I remember the sunshine and rain. Then I think of the earthquake and flood. I do not forget health and harvest, home and love - but what of pestilence and famine? I cannot harmonize all these contradictions - these blessings and agonies - with the existence of an infinitely good, wise and powerful God. Labor is the only prayer that Nature answers; it is the only prayer that deserves an answer, good, honest, noble work. The good men, the good women, are tired of the whip and lash in the realm of thought. They remember the chain and fagot with a shudder. They are free, and they give liberty to others. Nothing is greater than to break the chains from the bodies of men - nothing nobler than to destroy the phantom of the soul. Let us be true to ourselves - true to the facts we know, and let us, above all things, preserve the veracity of our souls. Let us be honest. 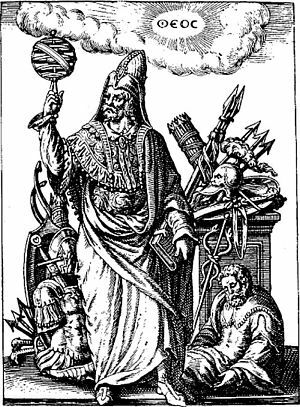 Did all the priests of Rome increase the mental wealth of man as much as Bruno? Did all the priests of France do as great a work for the civilization of the world as Diderot and Voltaire? Did all the ministers of Scotland add as much to the sum of human knowledge as David Hume? Have all the clergymen, monks, friars, ministers, priests, bishops, cardinals and popes, from the day of Pentecost to the last election, done as much for human liberty as Thomas Paine? — as much for science as Charles Darwin? In this creed there will be but one word - Liberty. We can be as honest as we are ignorant. If we are, when asked what is beyond the horizon of the known, we must say that we do not know. We can tell the truth, and we can enjoy the blessed freedom that the brave have won. We can destroy the monsters of superstition, the hissing snakes of ignorance and fear. We can drive from our minds the frightful things that tear and wound with beak and fang. We can civilize our fellow-men. We can fill our lives with generous deeds, with loving words, with art and song, and all the ecstasies of love. We can flood our years with sunshine - with the divine climate of kindness, and we can drain to the last drop the golden cup of joy. If there be an infinite Being, he does not need our help -- we need not waste our energies in his defense. I believe men will be nearer honest in business, in politics, grander in art — in everything that is good and grand and beautiful, if they are taught from the cradle to the coffin to tell their honest opinion. By this time the whole world should know that the real Bible has not yet been written, but is being written, and that it will never be finished until the race begins its downward march, or ceases to exist. Gentlemen, you can never make me believe — no statute can ever convince me, that there is any infinite Being in this universe who hates an honest man. It is impossible to satisfy me that there is any God, or can be any God, who holds in abhorrence a soul that has the courage to express his thought. Neither can the whole world convince me that any man should be punished, either in this world or in the next, for being candid with his fellow-men. If you send men to the penitentiary for speaking their thoughts, for endeavoring to enlighten their fellows, then the penitentiary will become a place of honor, and the victim will step from it — not stained, not disgraced, but clad in robes of glory. The night of the Middle Ages lasted for a thousand years. The first star that enriched the horizon of this universal gloom was Giordano Bruno. He was the herald of the dawn. As long as every question is answered by the word "God," scientific inquiry is simply impossible. Most men are followers, and implicitly rely upon the judgment of others. Free labor will give us wealth. Free thought will give us truth. We need men with moral courage to speak and write their real thoughts, and to stand by their convictions, even to the very death. I know how vain it is to gild a grief with words, and yet I wish to take from every grave its fear. If we wish to be true to ourselves, - if we wish to benefit our fellow-men - if we wish to live honorable lives - we will give to every other human being every right that we claim for ourselves. I do not believe that the tendency is to make men and women brave and glorious when you tell them that there are certain ideas upon certain subjects that they must never express; that they must go through life with a pretence as a shield; that their neighbors will think much more of them if they will only keep still; and that above all is a God who despises one who honestly expresses what he believes. The Agnostic takes the ground that human experience is the basis of morality. Consequently, it is of no importance who wrote the gospels, or who vouched or vouches for the genuineness of the miracles. In his scheme of life these things are utterly unimportant. He is satisfied that "the miraculous" is the impossible. He knows that the witnesses were wholly incapable of examining the questions involved, that credulity had possession of their minds, that "the miraculous" was expected, that it was their daily food. No man, standing where the horizon of a life has touched a grave, has any right to prophesy a future filled with pain and tears. This century will be called Darwin's century. He was one of the greatest men who ever touched this globe. He has explained more of the phenomena of life than all of the religious teachers. Write the name of Charles Darwin on the one hand and the name of every theologian who ever lived on the other, and from that name has come more light to the world than from all of those. His doctrine of evolution, his doctrine of the survival of the fittest, his doctrine of the origin of species, has removed in every thinking mind the last vestige of orthodox Christianity. He has not only stated, but he has demonstrated, that the inspired writer knew nothing of this world, nothing of the origin of man, nothing of geology, nothing of astronomy, nothing of nature; that the Bible is a book written by ignorance -- at the instigation of fear. Think of the men who replied to him. Only a few years ago there was no person too ignorant to successfully answer Charles Darwin; and the more ignorant he was the more cheerfully he undertook the task. He was held up to the ridicule, the scorn and contempt of the Christian world, and yet when he died, England was proud to put his dust with that of her noblest and her grandest. Charles Darwin conquered the intellectual world, and his doctrines are now accepted facts. I had rather live and love where death is king, than have eternal life where love is not. The agnostic does not simply say, "l do not know." He goes another step, and he says, with great emphasis, that you do not know. He insists that you are trading on the ignorance of others, and on the fear of others. He is not satisfied with saying that you do not know, -- he demonstrates that you do not know, and he drives you from the field of fact -- he drives you from the realm of reason -- he drives you from the light, into the darkness of conjecture -- into the world of dreams and shadows, and he compels you to say, at last, that your faith has no foundation in fact. Like the most of you, I was raised among people who knew - who were certain. They did notreason or investigate. They had no doubts. They knew that they had the truth. In their creedthere was no guess - no perhaps. They had a revelation from God. They knew the beginningof things. They knew that God commenced to create one Monday morning, four thousand andfour years before Christ. They knew that in the eternity - back of that morning, he had donenothing. They knew that it took him six days to make the earth - all plants, all animals, all life,and all the globes that wheel in space. They knew exactly what he did each day and when herested. They knew the origin, the cause of evil, of all crime, of all disease and death. Each thing that exists testifies of its perfection. The earth, with its heart of fire and crowns of snow; with its forests and plains, its rocks and seas; with its every wave and cloud; with its every leaf and bud and flower, confirms its every word, and the solemn stars, shining in the infinite abysses, are the eternal witnesses of its truth. What is blasphemy? I will give you a definition; I will give you my thought upon this subject. What is real blasphemy? To live on the unpaid labor of other men — that is blasphemy. To enslave your fellow-man, to put chains upon his body — that is blasphemy. To enslave the minds of men, to put manacles upon the brain, padlocks upon the lips — that is blasphemy. To deny what you believe to be true, to admit to be true what you believe to be a lie — that is blasphemy. To strike the weak and unprotected, in order that you may gain the applause of the ignorant and superstitious mob — that is blasphemy. To persecute the intelligent few, at the command of the ignorant many — that is blasphemy. To forge chains, to build dungeons, for your honest fellow-men — that is blasphemy. To pollute the souls of children with the dogma of eternal pain — that is blasphemy. To violate your conscience — that is blasphemy. The jury that gives an unjust verdict, and the judge who pronounces an unjust sentence, are blasphemers. The man who bows to public opinion against his better judgment and against his honest conviction, is a blasphemer. Why should we fear our fellow-men? Why should not each human being have the right, so far as thought and its expression are concerned, of all the world? What harm can come from an honest interchange of thought? The dead do not suffer. And if they live again, their lives will surely be as good as ours. We have no fear. We are all children of the same mother, and the same fate awaits us all. We, too, have our religion, and it is this: Help for the living, hope for the dead. Strange but true: those who have loved God most have loved men least. If there is a God who will damn his children forever, I would rather go to hell than to go to heaven and keep the society of such an infamous tyrant. I make my choice now. I despise that doctrine. It has covered the cheeks of this world with tears. It has polluted the hearts of children, and poisoned the imaginations of men.... What right have you, sir, Mr. clergyman, you, minister of the gospel to stand at the portals of the tomb, at the vestibule of eternity, and fill the future with horror and with fear? I do not believe this doctrine, neither do you. If you did, you could not sleep one moment. Any man who believes it, and has within his breast a decent, throbbing heart, will go insane. A man who believes that doctrine and does not go insane has the heart of a snake and the conscience of a hyena. Liberty is the condition of progress. Without Liberty, there remains only barbarism. Without Liberty, there can be no civilization... It is impossible that there should be such a thing as real religion without liberty. Without liberty there can be no such thing as conscience, no such word as justice. All human actions - all good, all bad - have for a foundation the idea of human liberty, and without Liberty there can be no vice, and there can be no virtue. Without Liberty there can be no worship, no blasphemy - no love, no hatred, no justice, no progress. Take the word Liberty from human speech and all the other words become poor, withered, meaningless sounds - but with that word realized - with that word understood, the world becomes a paradise. Love is the only bow on Life's dark cloud. It is the morning and the evening star. It shines upon the babe, and sheds its radiance on the quiet tomb. It is the mother of art, inspirer of poet, patriot and philosopher. It is the air and light of every heart - builder of every home, kindler of every fire on every hearth. It was the first to dream of immortality. It fills the world with melody - for music is the voice of love. Love is the magician, the enchanter, that changes worthless things to Joy, and makes royal kings and queens of common clay. It is the perfume of that wondrous flower, the heart, and without that sacred passion, that divine swoon, we are less than beasts; but with it, earth is heaven, and we are gods. In the presence of death I affirm and reaffirm the truth of all that I have said against the superstitions of the world. I would say that much on the subject with my last breath. 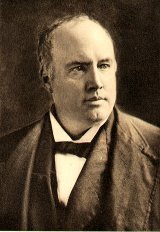 Robert Green Ingersoll was an American orator and political leader. He served for the Union army in the Civil war. He had a big role in the movement "The Golden Age of Freethought" during his time.